Our receptionist and scholarship teacher Monica has graduated as nursing assistant. But she is not done. Inspired by the work done in ODIM and her community’s needs Monica will continue to work hard until she has graduated as a nurse. Monica is 30 years old and live in San Pablo La Laguna with her husband. Her mom, and her 9 brothers and sisters also live in San Pablo, but her dad died several years ago. 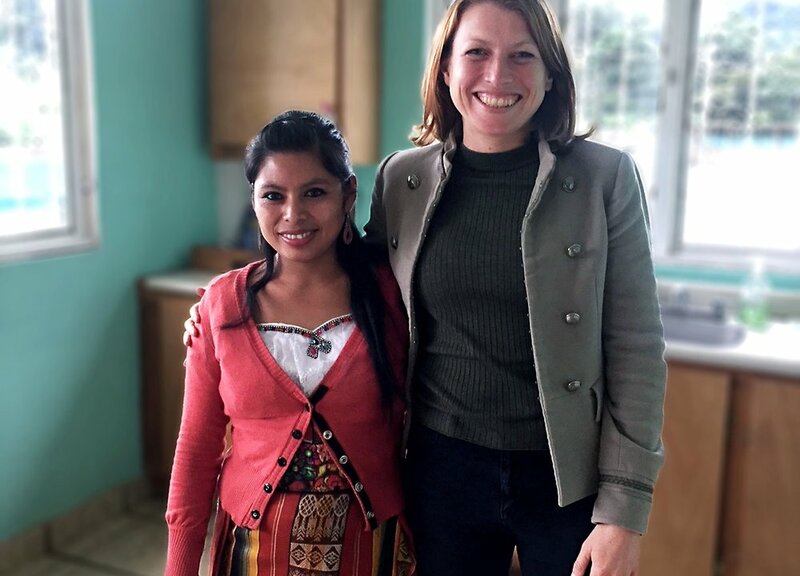 She started working with ODIM in 2009 as a tutor in our scholarship program, and in 2014 she also became our receptionist in the San Pablo clinic. On her 8 year anniversary with ODIM, Monica applied for and received one of our ODIM staff scholarships, and after two years of hard work she graduated as a nursing assistant. In San Pablo 80% of children finish schooling before 6th grade and indigenous girls on average attend school for only three years. We started our scholarship program for children and for our staff to improve the skills of the local population including health services in order to ensure a more sustainable development, and we are happy to see that it is working. My family was very happy when I decided to study this career because no-one in my family had ever studied at college before. Some of my brothers and sisters started to study but they dropped out around 9th grade because they got married. Congratulations to Monica from the entire ODIM family. Monica is an important part of our team and we are grateful to have her onboard.